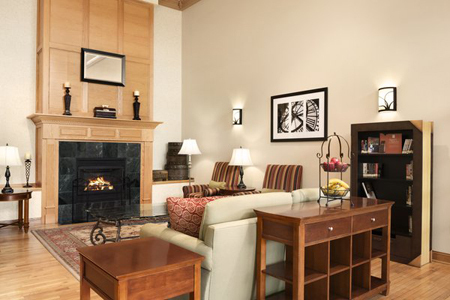 Nestled east of downtown Madison, the Country Inn & Suites® by Radisson, Madison, WI puts guests close to everything Monona has to offer. 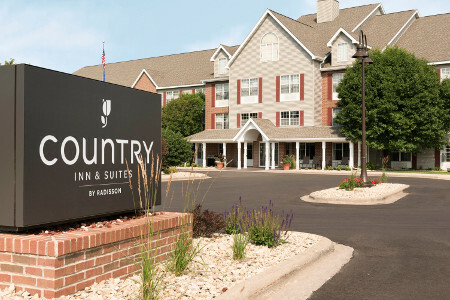 Whether you drive in from Beltline Highway or arrive via Dane County Regional Airport, our hotel welcomes you to enjoy your new home away from home near waterside fun at Yahara River and the burgeoning foodie culture by Capitol Square. Traveling with a large group? Reserve a King Suite, which includes all standard amenities, a plush king bed, plus extras like an additional TV and a sleeper sofa in the separate living room. 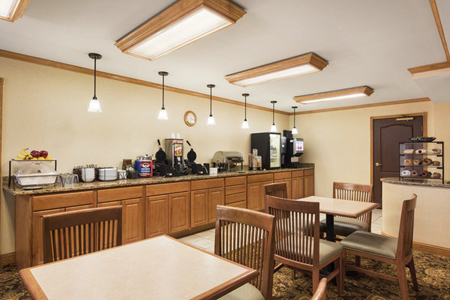 In the morning, sit down to biscuits with gravy, waffles and fresh fruit at our hotel's free, hot breakfast. For an extra pick-me-up, hot coffee is available all day long. When it’s time for lunch or dinner, you can enjoy a meal at a nearby restaurant like Edo Garden, where expert chefs prepare sushi rolls, bento boxes and hibachi entrees right in front of you. Alliant Energy Center – From food festivals and business conferences to horse shows and Roller Derby bouts, the Alliant Energy Center is Madison’s premier entertainment venue. Less than four miles away from our hotel, this complex is home to a 10,000-seat coliseum, a 255,000-square-foot exhibit hall, a 29-acre outdoor space and more. Capital Springs State Park – Trek through the park on a snowmobile in winter and paddleboard to your campsite in summer at Capital Springs State Park, less than a mile from the hotel. You can also hike or bike all the way into downtown on the park’s Capital City State Trail. Monona Terrace – Designed by Frank Lloyd Wright in 1938, Monona Terrace is a community and convention center on the bank of Lake Monona. As one of the Midwest’s best event venues, it is noted for its state-of-the-art facilities and beautiful backdrop. Attend a wedding, concert, symposium or IRONMAN® competition, or simply tour this architectural wonder. Plan a gathering for up to 30 people in our meeting facilities. Our staff can help with catering recommendations, and we can even create a customized event website to keep your guests up to date on the latest information. 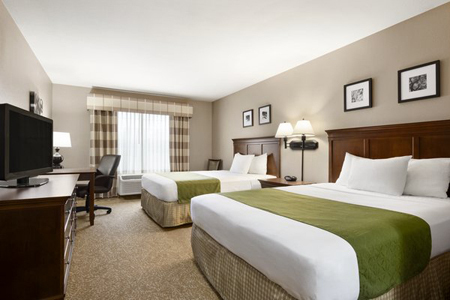 If you’re traveling with a group, we offer discounted rates to make everybody’s stay at the Country Inn & Suites more affordable and convenient.